WELCOME TO THE WEBSITE FOR NORTHERN LIGHTS ENERGY SYSTEMS LTD.
We are a full service dealer providing sales, service, design, and installations. 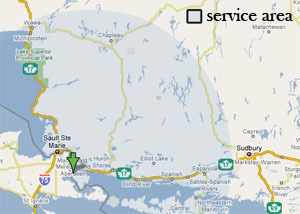 Located on St. Joseph Island near Sault Ste. Marie, Ontario. Our home and business operates independent of the hydro grid. Our goal, reliable systems that meet our customers needs. Satisfied customers have played a key role in our continued growth since 1986. We ensure that load analysis and design is done correctly so that your system will preform in the way that works with your lifestyle.